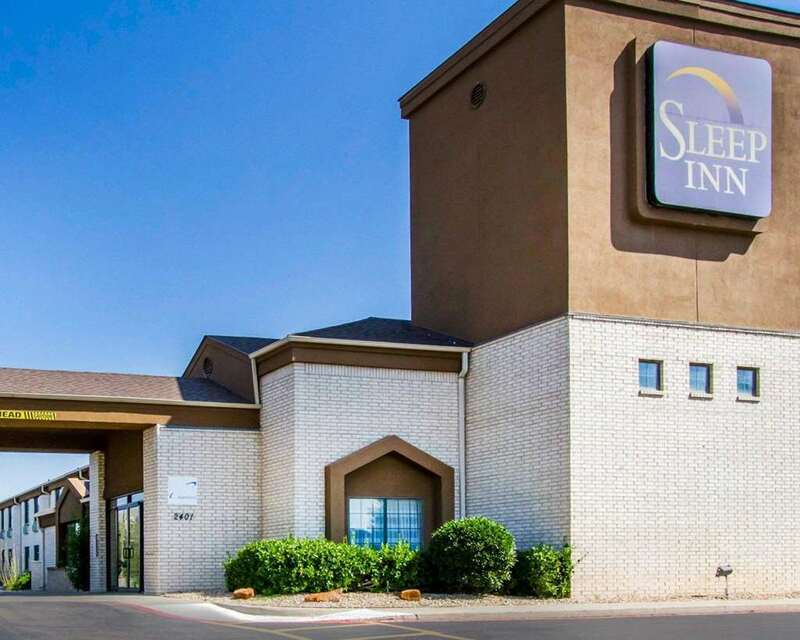 Dream better at the Sleep Inn Airport hotel in Amarillo, TX located off Interstate 40 near the Rick Husband Amarillo International Airport. This smoke-free hotel is near destinations like Amarillo College, Amarillo Civic Center, Amarillo Zoo, American Quarter Horse Hall of Fame and museum and Amarillo Fairgrounds. Enjoy amenities like free hot breakfast, free WiFi, indoor heated pool and a hot tub, business center and access to copy and fax services. Guest rooms include a coffee maker, iron and ironing board, plus select rooms include a refrigerator. Also, earn rewards including free nights and gift cards with our Choice Privileges Rewards program.